Architects, designers, decorators and homeowners all appreciate the quality, selection and knowledge that has become synonymous with the Shelton Lee name. 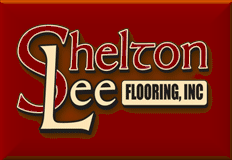 Shelton Lee Flooring Specialties, Inc. has many ceramic tile, and wood floors to choose from. We offer a broad range of features, styles, colors, and prices, so you’re sure to find the perfect floor for you.